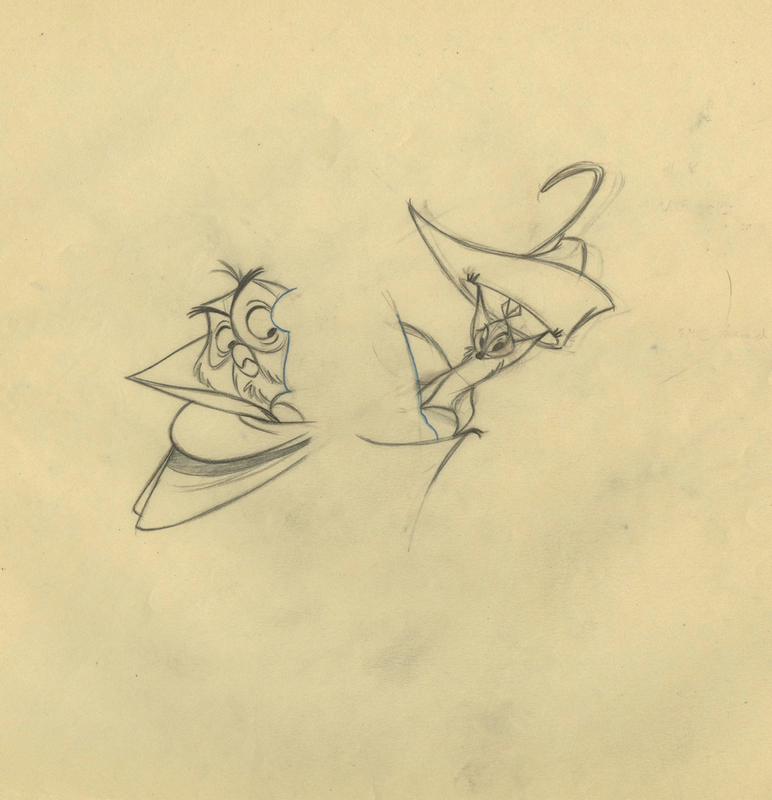 This is an original production drawing from the Walt Disney Studios production of Sleeping Beauty. 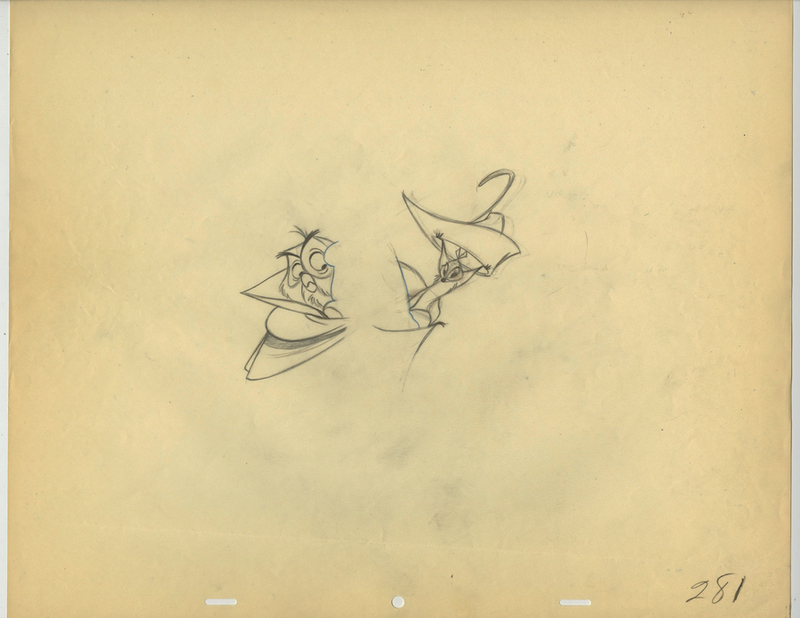 This drawing was created by Disney Legend, and one of the Nine Old Men, John Lounsbery, and features the mock prince as the animals wrap themselves around Briar Rose, and was created at the studio and used during the production of the film. The overall measurements of the piece are 12.5" x 15.5" and the image itself measures 4.25" x 5.5". The sheet is in good condition.